At the recent 63rd Walkley Awards for Excellence in Journalism, Australian Associated Press (AAP) photographer, Dean Lewins was named the Nikon-Walkley Press Photographer of the Year. This is his first Walkley Award. Dean Lewins won the Nikon-Walkley Press Photographer of the Year. 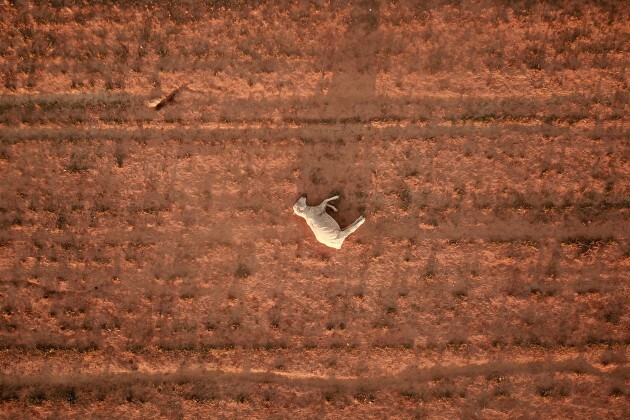 A dead sheep lies on a dry and dusty field near Parkes in August 2018. New South Wales has been 100% drought-declared. © Dean Lewins. His winning portfolio featured a selection of images from the year’s major sporting events, including the Commonwealth Games, the FIFA World Cup, the Australian Open tennis tournament, the Sydney to Hobart Yacht Race, and the Ashes, along with other significant news coverage which included the funeral of AC/DC founder, Malcolm Young when his brother and co-founder Angus Young steps to the back of the hearse carrying Malcolm’s prized Gretsch guitar. The judges described Lewins' portfolio as strong on sport, but with quintessential Australian news images as well. Dean Lewins won the Nikon-Walkley Press Photographer of the Year. Angus Young waits to place a guitar in the hearse with the casket of his brother, AC/DC co-founder and guitarist, Malcolm Young. 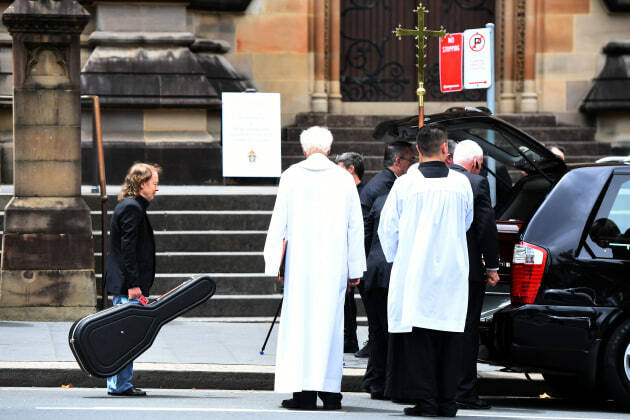 The funeral was held at St. Mary's Cathedral in Sydney, in November 2017.© Dean Lewins. A photojournalist for 30 years, Dean Lewins completed his cadetship with The Gold Coast Bulletin and began working for Australian Associated Press in 1999. At AAP, Lewins has covered six Olympic Games, four Commonwealth Games, the Ashes, the Football World Cup, and the Rugby World Cup. 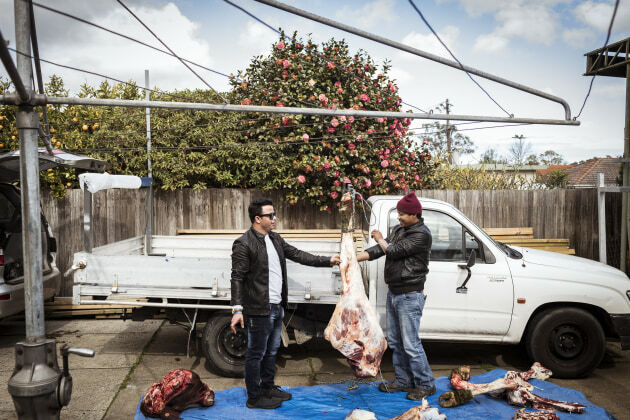 Chris Hopkins’ series, My Name is Yunus, won the Walkley Award for Feature/Photographic Essay. Sacrifice: Mohamad Yunus helps members of the local Rohingya community carve a sacrificial cow as part of Eid al Adha. The meat will be shared amongst seven families. © Chris Hopkins. Other winners included Getty Images Scott Barbour in the Sport Photography category, and freelance photojournalist Chris Hopkins in the Nikon-Walkley Feature/Photographic Essay category for his series, My Name is Yunus, which focusses on the new life of a Rohingya refugee in Australia for SBS’s innovative Instagram documentary She Called Me Red. Jenny Evans (Getty Images, The Daily Telegraph) won the News Photography category for her series, Life Saver, showing a swimmer caught in dangerous surf at Bronte Beach, NSW. Jenny Evans’ story, Life Saver, won the Walkley Award for News Photography. 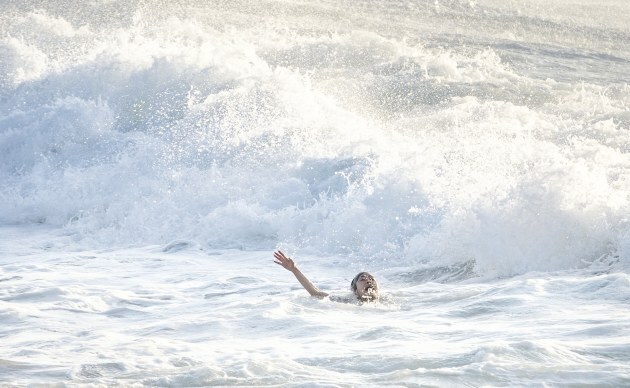 A woman screams and raises her arm as she is caught in a rip at Bronte Beach in Sydney during very rough surf conditions. © Jenny Evans. You can see a selection of winning images in the gallery above, and all the winners at the Walkley Foundation website. Jenny Evans’ story, Life Saver, won the Walkley Award for News Photography. A distraught woman is assisted by a lifeguard after being rescued from the raging surf. © Jenny Evans.